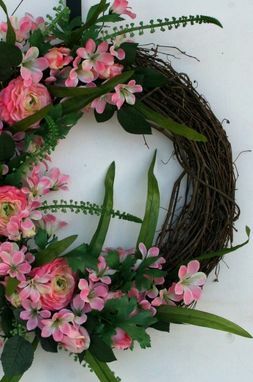 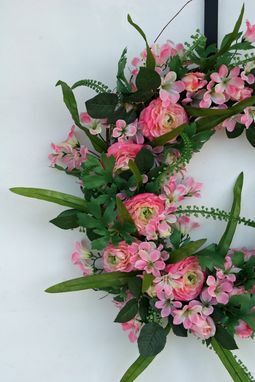 Bring a splash of spring to your front door, wall, or fire place with this beautiful pink floral wreath. 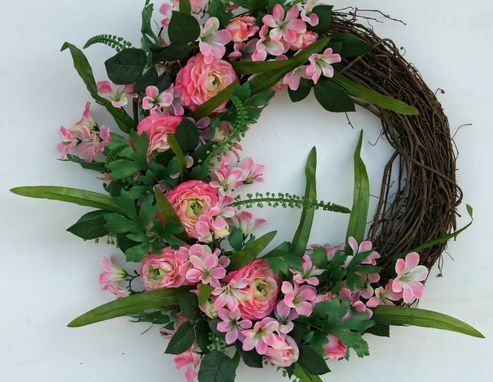 The grapevine wreath form is partially covered in silk grass and leaves and rich, vibrant pink flowers. 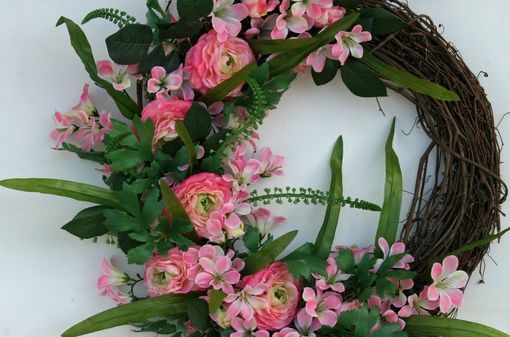 If you look closely you will find ranuculus, azaleas, roses, and artificial grass seed pods tucked amid the greenery. 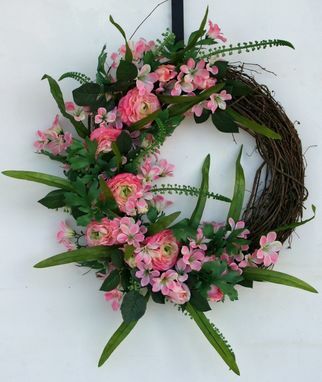 The wreath measures approximately 25 inches by 25 inches (tip to tip).